On August 21, 2017, the United States will experience a solar eclipse, with 14 states experiencing a total eclipse. Many experts predict that millions will be traveling to the path of totality to get a glimpse of this historic event. If you are one of the lucky ones traveling to or already in the path of totality, you might be wondering how to capture this celestial event with your DSLR camera. Let’s talk about how to safely photograph the solar eclipse. Before you do anything else, make sure you pick up solar eclipse glasses. You can find these around town through libraries, schools, or museums, or you can find them online. Eclipse glasses are absolutely essential for viewing the solar eclipse and need to be worn at all times while viewing the eclipse, with the exception of the few minutes of totality. Do not look at the sun or through your viewfinder without your glasses on! Don’t use your eclipse glasses for this – invest in a solar filter to protect your camera. Getting good photos of an eclipse requires taking many photos during the eclipse. You will definitely want to have lots of storage space (bring an empty SD card, for example) and plenty of fresh batteries. Totality is the neatest part of the eclipse, and you’ll want to have plenty of space and battery to capture those few minutes. What we’re saying here is, don’t waste space and battery life on the partial eclipse if you don’t have time, space, or extra batteries for the total eclipse. If you’re serious about capturing good photos during the eclipse, it pays to prepare. Understanding what happens during the eclipse, when it’s going to happen where you are, and what to expect from the experience will help you handle the setup and photographing when the even starts. 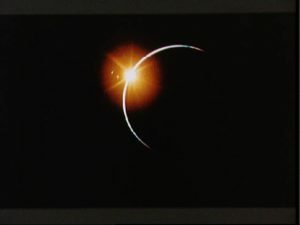 It’s definitely worth the time to check out others’ pictures of past eclipses, and to read professionals’ tips on how to shoot an eclipse. Many pros recommend practicing your shots by photographing the moon. The full moon is best, since it appears to be about the same size as the sun. August’s full moon is early in the month, so start practicing soon! You also can practice preparing for totality. Your solar filter should stay on the camera until totality begins, but you’ll want to pull that filter off to capture the total eclipse. (And then you’ll want to put the filter right back on.) You’ll be surprised by your reaction to the total eclipse, so practice and find the best method for removing and replacing the solar filter. It’s a good idea to run through possible issues, and not just from a photographer’s standpoint. For example, considering the weather and planning for heat, clouds, rain, or wind can help you ensure you have a good eclipse experience no matter what. If it’s going to be hot, bring lots of water, but also pack protection for your equipment. If there’s a chance of gusty winds, make sure your tripod will stay standing. You get the idea. Fortunately, there are plenty of comprehensive articles online (and even in books at the library) that cover photographing a total solar eclipse. We recommend searching for articles that cover your specific brand and model. There are specific steps and settings for each phase of the eclipse; the most impressive phase and most coveted shots comes during totality, of course. Therefore, we recommend finding the best settings for this phase and waiting to shoot until then, or be ready to quickly adjust to capture this short but magnificent event. You will need to pay particular attention to your lens, though. 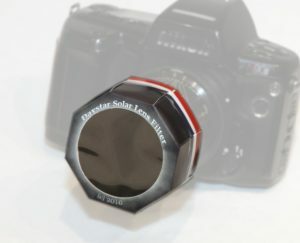 If you are new to photography, you may not yet have a lens that will work for the solar eclipse. Renting lenses is a great option if you don’t have a telephoto lens. Again, do a little research to determine which lens will work best for the shots you want. For example, for full-frame cameras you can use lenses from 400mm-1000mm. But during totality, if you want to capture the sun and the corona, 500mm-800mm is best. Shooting the eclipse will be a lot of work, but you’re sure to capture some amazing shots. Don’t wait until the last minute to prepare for this event if you do intend to photograph – spending time before hand learning and preparing will make the event that much more amazing. Remember to keep your eyes and your equipment safe during the eclipse! Get ahold of your eclipse viewing glasses and your solar filters as soon as possible – these are necessities and are in high demand. Our best piece of advice, though, is to enjoy the eclipse, and not worry too much about photographing. Be sure to take a moment to be present and enjoy this once in a lifetime celestial event. Many of the links that you’ll find on Bokeh Hub link to products on third party sites. If you choose to purchase a product after going through one of these links, we will receive a small sales commission at no extra cost to you. We thank you for supporting our business!